 Breezy reflections on a failed marriage and the transition to a new relationship make up this first novel from a columnist for the Philadelphia Inquirer. 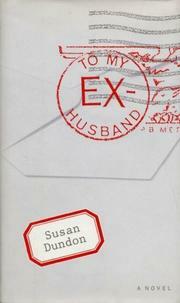 It's an awkward format: Five years' worth of unmailed notes from Emily Moore to ex-husband Nick that often read like diary entries, the addressee forgotten. Here's the chronology. 1984: After 20 years of married life Nick, ``a tenured professor/painter,'' separates from Emily, who stays in the family home with teenage kids Annie and Peter. There is no other woman. 1985: Correction: Not only is there another woman, but Emily discovers Nick has been involved with their friend Esther for two years. This is the pits. An unexpected reunion with first-grade sweetheart David eases the pain. 1986: Emily has been careless with David; she has an abortion. Starts dating her long-divorced dentist, Edward Ventura, also the parent of two teenagers. 1987: Nick, jealous, wants back in. No dice. Divorce proceedings begin. 1988: Edward moves kids and self into Emily's home. Divorce finalized. 1989: Emily and Edward marry. As a story it's anemic; the big scenes (Nick's departure, his confrontation with Emily over Esther) don't get written, the happy ending is no surprise (that's where Dundon begins), and Emily's heartbreak is too genteel (you'll never catch her vomiting in the street like her abandoned friend Claire). Dundon tries to win the reader by keeping the tone light, as the quintessential ``good sport'' Emily copes with new problems such as the logistics of Thanksgiving and the influx of more teenagers, but the problems are wearyingly familiar and the tone trivializes the emotional realignments. Bromide-filled debut with a fictional skin and a self-help heart.